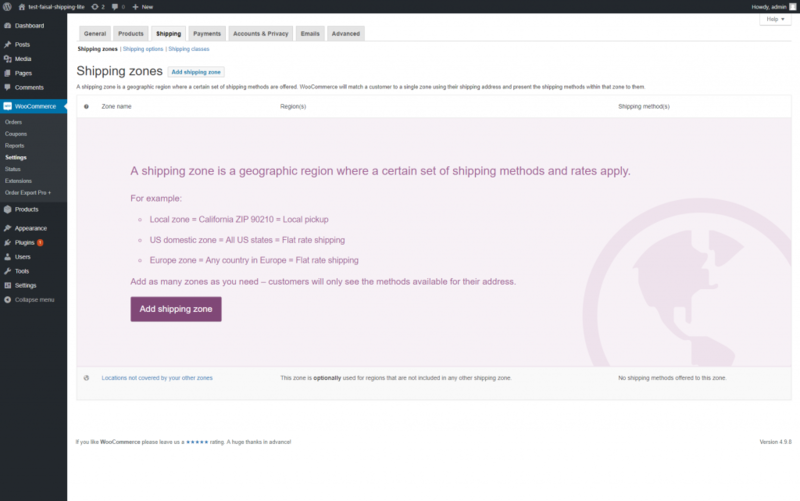 Local pickup is fairly easy to setup in WooCommerce, most store owners are able to do that. One scenario that is not so easy is when a store owner wants to force local pickup for ALL products in the cart if a particular product or products are purchased. For example a store might have something that cannot be shipped for either practical reasons (it’s a boat!) or legal reasons (the postal service will not ship it) and the only option is for local pickup. In this case if a customer purchase other products – say a life jacket to go with that boat – then the store owner would like to force all the products to be local pickup. We’ll also assume that the store only ships to the USA. 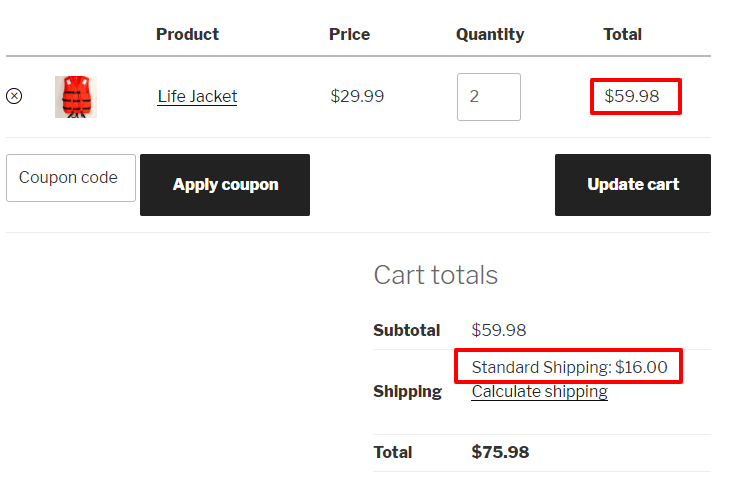 In this example we have called this shipping “Standard Shipping” – this is the text customers will see in their cart when they match this shipping rule. You will also see the 3 rows at the bottom where we have set up the rules for the 3 tiers of shipping ($0.00 – $49.99, $50.00 – $99.99 and $100 plus) – note we use an asterisk (*) to represent unlimited in the Max value. 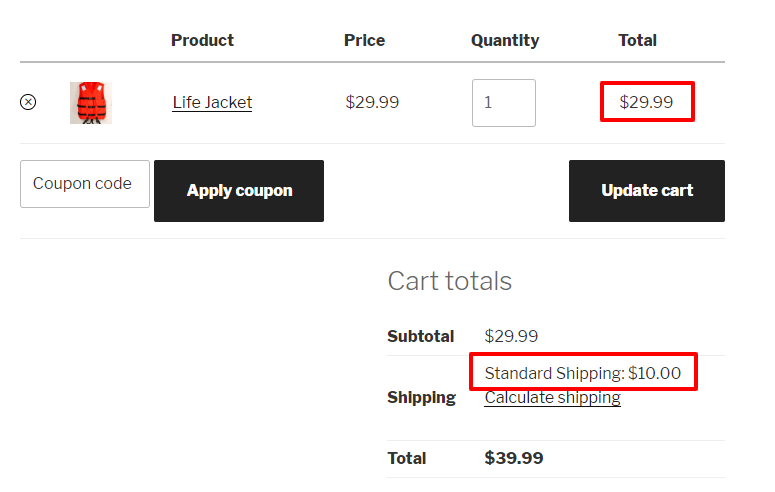 The actual shipping cost is in the column called “Base Amt”. So now we have the basic shipping set up and functioning as we want we can move on to the Local Pickup scenario. 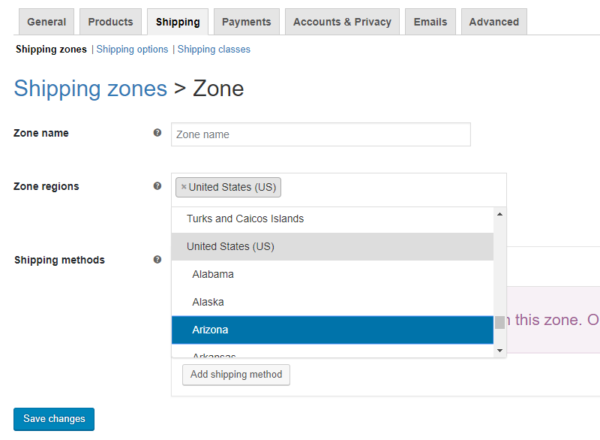 As a reminder the shipping rule we would like to implement is if a customer buys ANY product that is for Local Pickup then ALL items in the cart are forced to be local pickup. We’ll achieve this use shipping classes. We have set up 2 shipping classes; one to cover the Local Pickup items and one for everything else. So now we have the shipping classes set up we can go in and create the rule that will get us the shipping behavior we want. It’s actually incredibly simple – take a look at the screenshot below. I have highlighted the row we have added. It is important this is the first row – you can sort the rows simply by dragging them to where you want them. 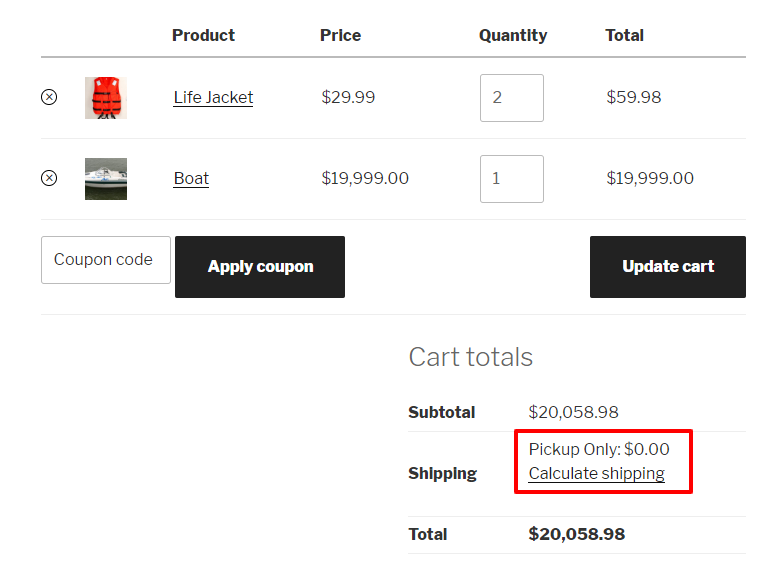 Essentially what this rule is saying is: if you have an item in the cart that has the Shipping Class “Local Pickup” and the total price in the cart is from zero to unlimited (so basically every shipping cart!) the charge ZERO for shipping. Also change the label that appears on the cart to the text “Pickup Only” (that’s the ‘Label’ column) then finally, and this is then important part we have set “STOP” to YES. What this does is tells the plugin to not do any more calculations on shipping but to go with what it has already calculated. 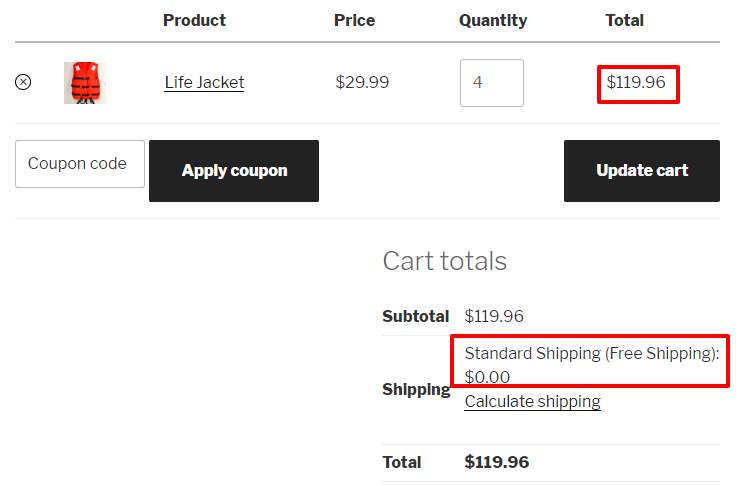 So in this case it will charge ZERO for shipping and change the label to “Pickup Only”. You can see the result in the screen below.